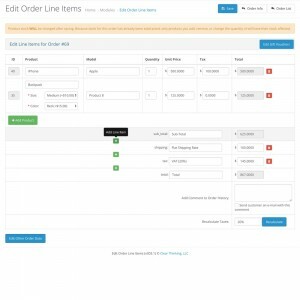 This extension allows you to quickly and easily add, edit, or remove both line items and products on an order. 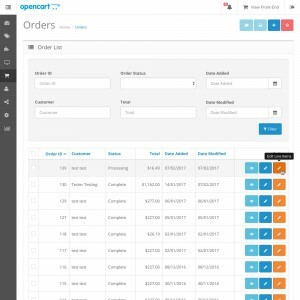 It does not rely on any complicated API calls like the built-in OpenCart editor, and is ideal for making quick changes to an order when you know the textual and price changes you want to make. 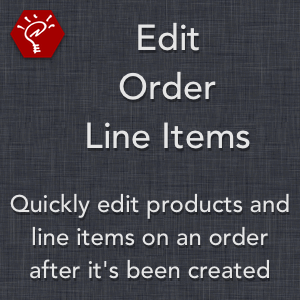 Easily edit products and line items on an order after it's been created. 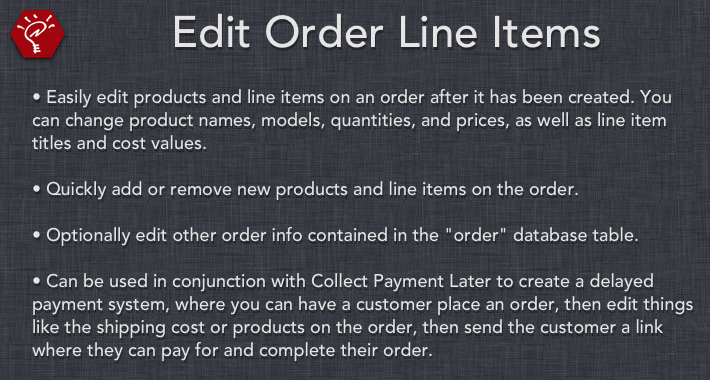 You can change product names, models, quantities, and prices, as well as line item titles and cost values. 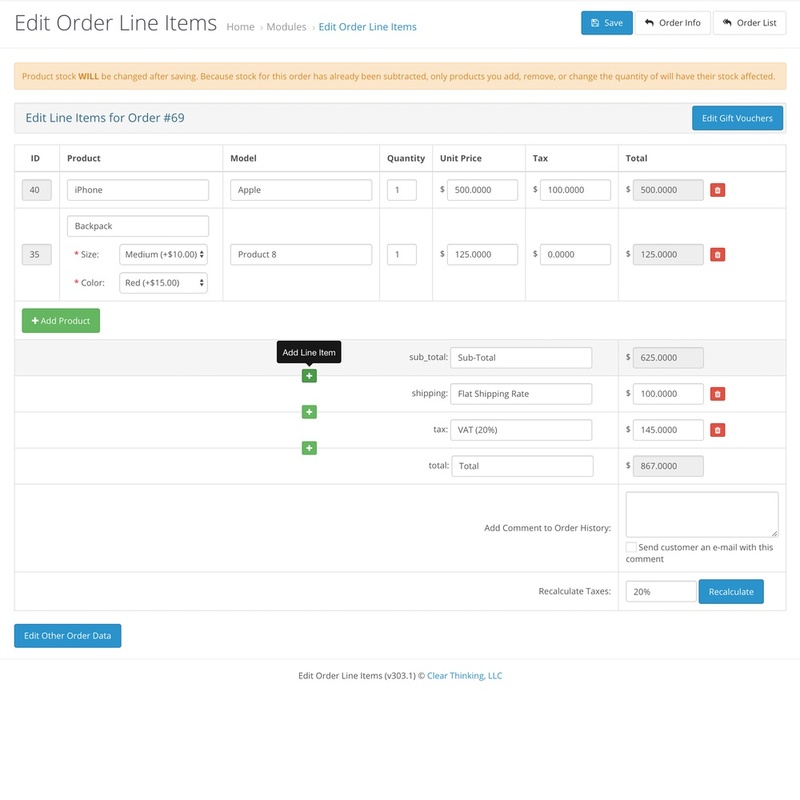 Quickly add or remove new products and line items on the order. 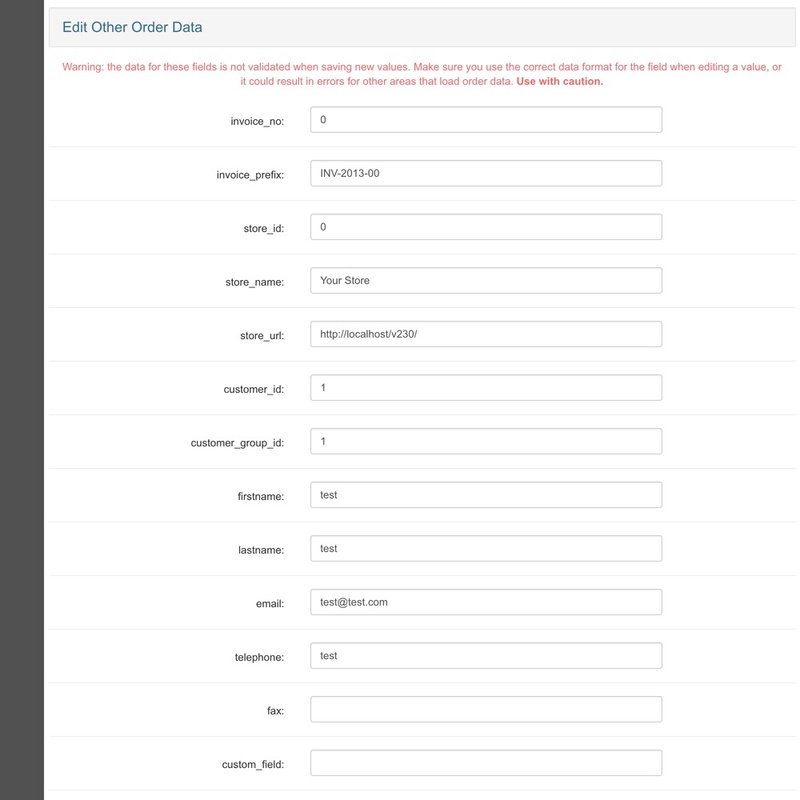 Optionally edit other order info contained in the "order" database table. 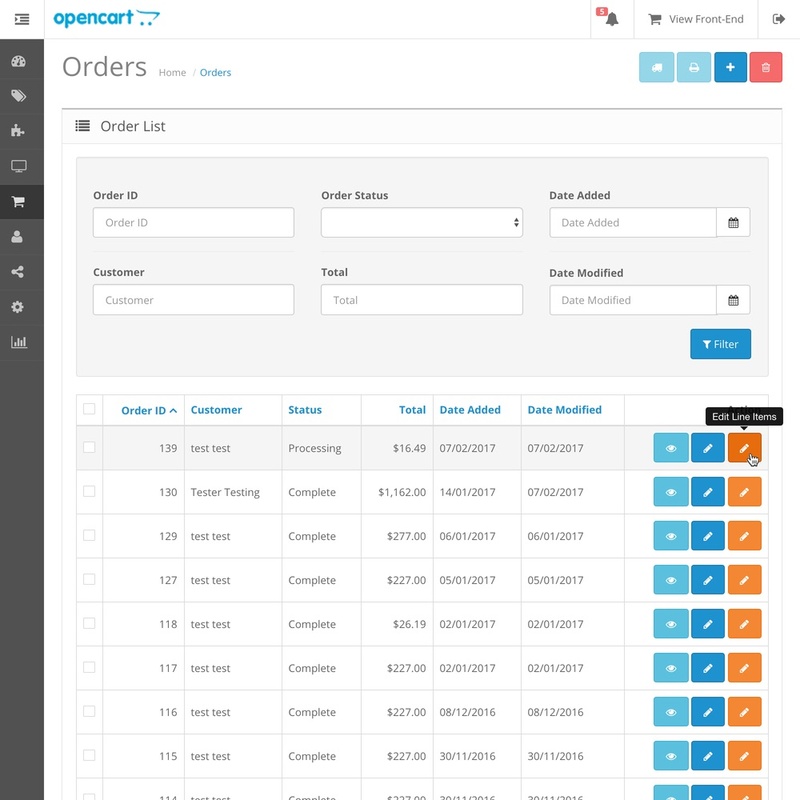 Create new orders in the Sales > Orders area, or for a specific customer in the Customers area of the admin panel. 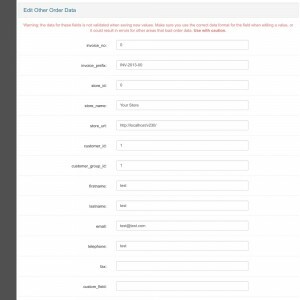 Can be used in conjunction with Collect Payment Later to create a delayed payment system, where you can edit things like the shipping cost or products on an order, and then send the customer a link where they can pay for and complete their order. - Fixed: inventory is still deducted for products set to "Subtract Stock: No"